Kevy and Kylun are working hard to try and figure out how to put together their cardboard race cars. “Look, you stick this part in here!” shouts Kylun, as he proudly attaches a corner and gets one step closer to making his cardboard look less flat and more like a car. 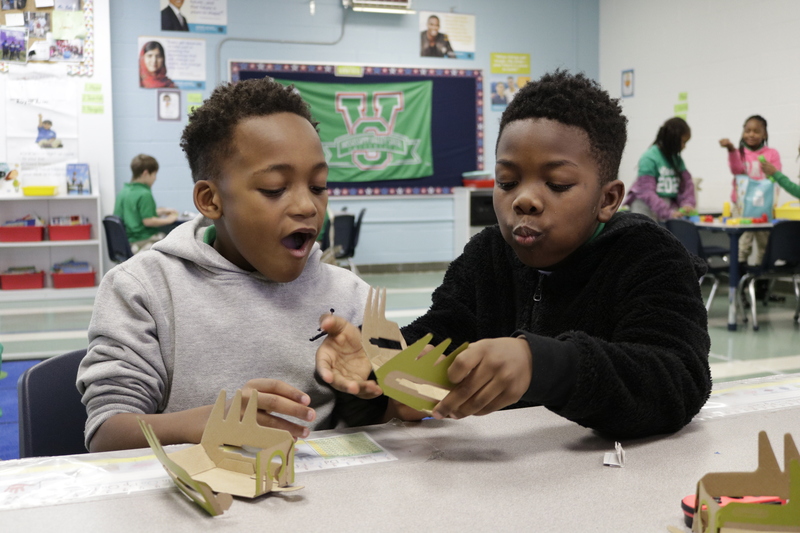 Kevy and Kylun are second graders in Mr. Baker’s STEM class at KIPP Nashville College Prep Elementary School. They’re working on piecing together components that include the Nintendo Switch and are part of Nintendo’s Labo invention system. 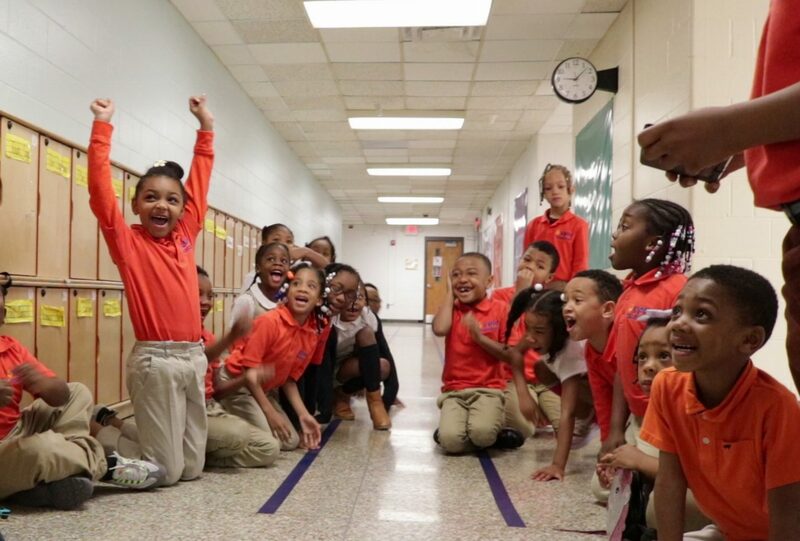 “We found out we received the Nintendo grant from the Institute of Play in November, and I was so excited to introduce the program to our students,” says Mr. Baker. 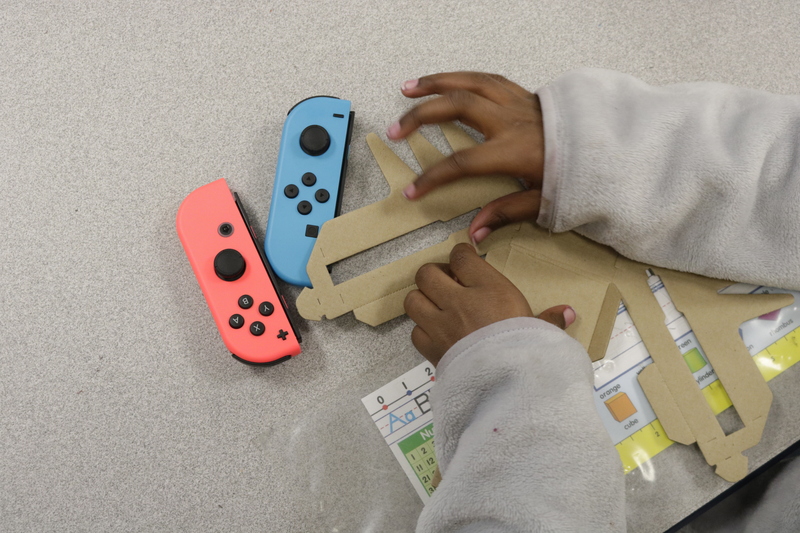 KNCPE is one of 100 classrooms around the United States who were awarded this grant, which bring Labo kits for Nintendo Switch – previously only available for consumer purchase – to schools. 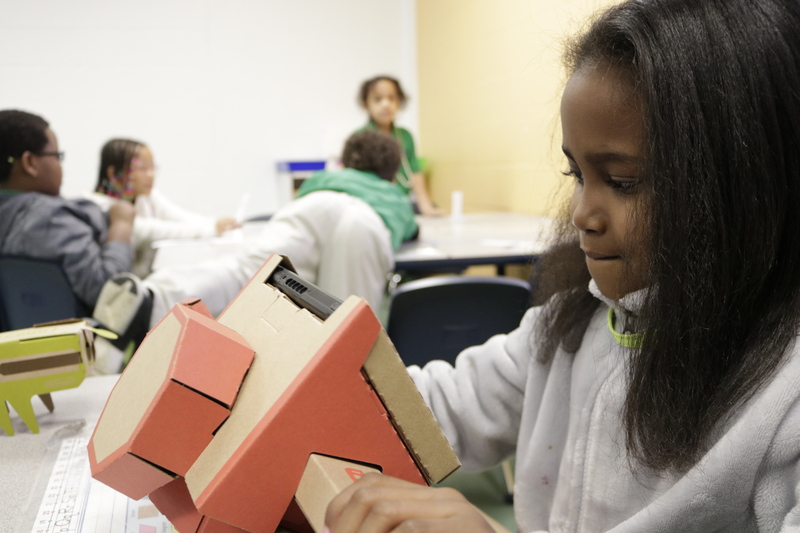 Students can make the cardboard car move by using vibration controlled through the Switch. It’s the same technology as in Nintendo Wiis. 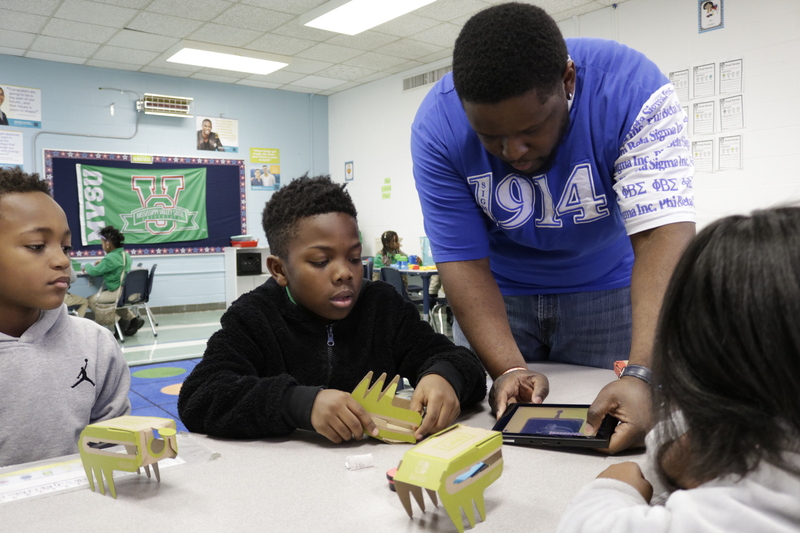 For Mr. Baker, the Nintendo grant combines his love of teaching and STEM with a personal passion of his, too. As students work to figure out how to build the models, Mr. Baker says it teaches problem-solving skills and encourages them to collaborate. Mr. Baker gets to keep the Nintendo equipment and says he’s already thinking about curriculum for next year. With a background in science, Mr. Baker understands that the earlier students are exposed to STEM curriculum, the better the chances are that they will fall in love with it, just as he did.